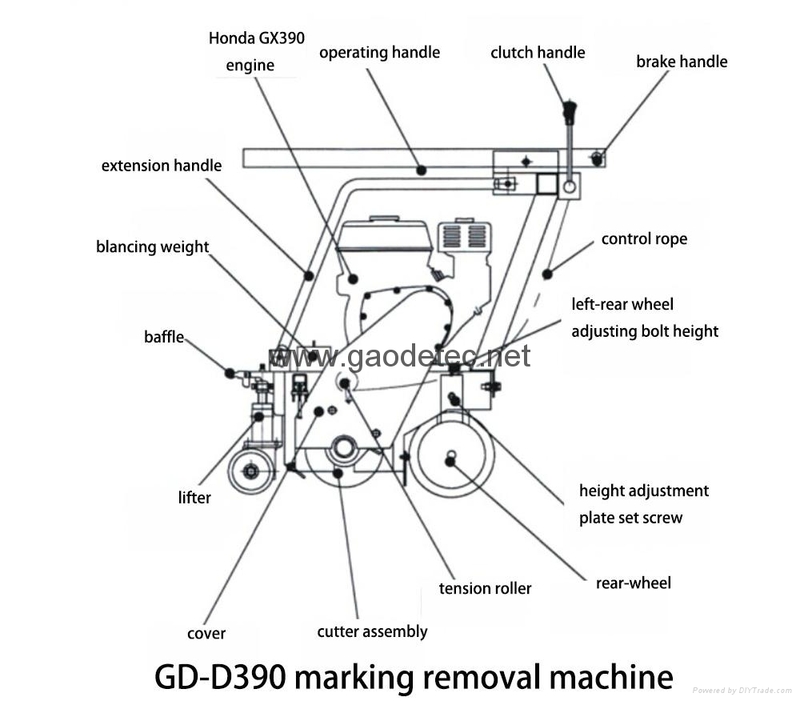 GD-D390 marking removal machine is used to eliminate damaged, crazing and discolored special hardware of marking index line. 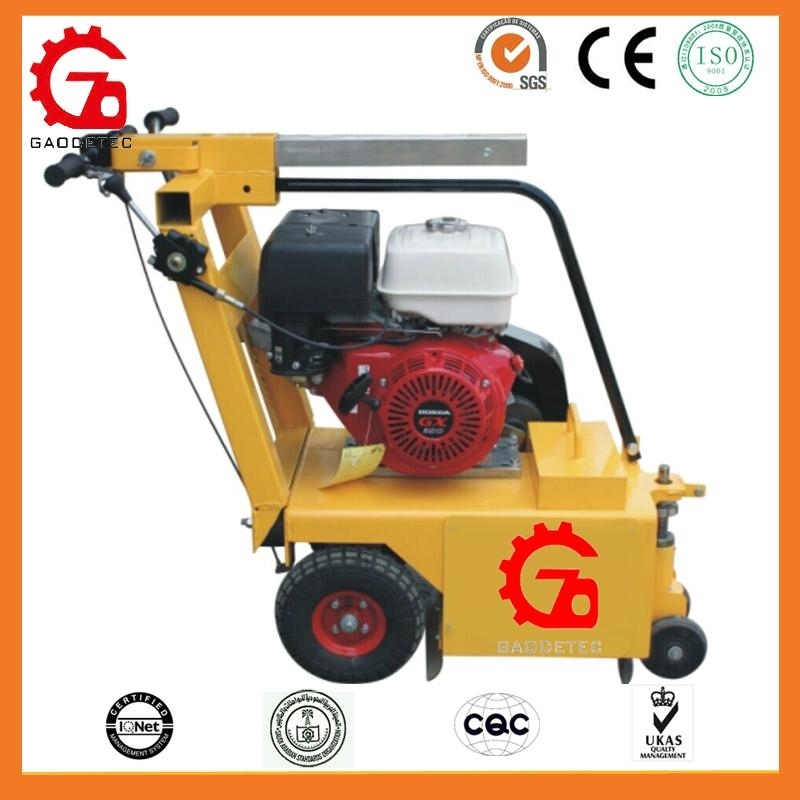 Engine drives the burnishing head remove at top speed, burnishing head grinds in with the jut of road under the function of revolving centrifugal force, and thus marking is cleaned clear. 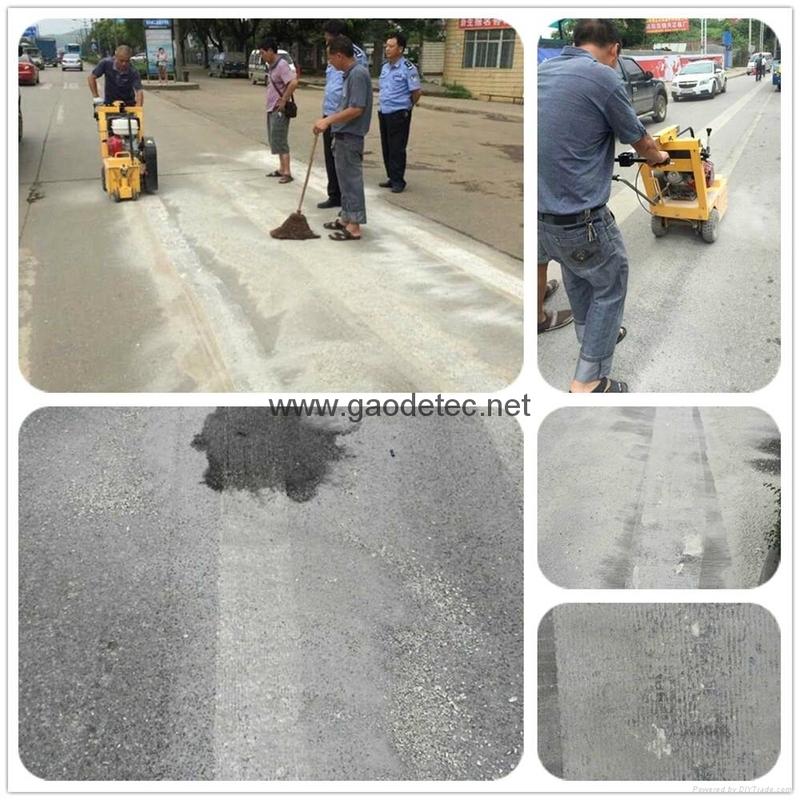 Good burnishing performance, fast speed and easy operation and maintenance. 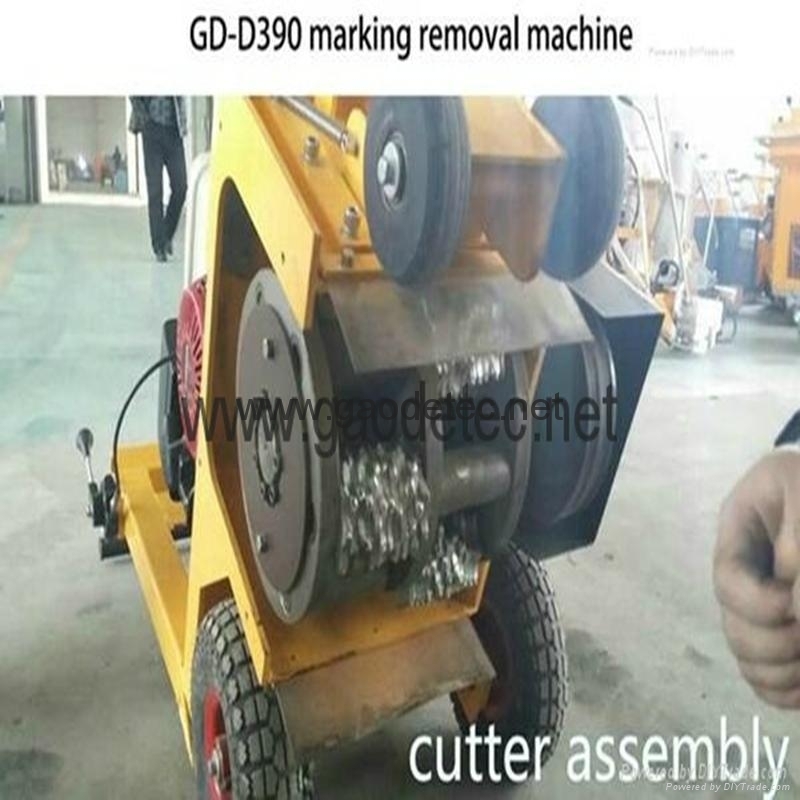 The machine mainly used to eliminate damaged, crazing and discolored special hardware of marking index line.